Happy Halloween to all readers regular and passersby here at SuperPhillip Central! May your day be full of terror-ific fun! Man, I'm using puns as bad as the Cryptkeeper here! Nonetheless, it wouldn't be Halloween on SuperPhillip Central without some special article, and what better way to bring this haunted holiday than with a collection of some of my favorite spooky levels from video games. However, it'd be way too easy to mention those twisted locales from horror games, so we're going to take a look at some scary sights from non-horror video games. This list is hardly all of my favorites, so for some others, I guess we'll just have to wait until next Halloween! Super Mario World introduced a lot of new concepts to the world of Mario. From Yoshi to secret exits in levels to a new level type: ghost houses. 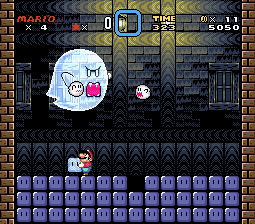 The various ghost houses in Super Mario World are usually the most fiendish levels in the game. The enemies are usually impossible to keep down or even defeat for that matter, and if the enemies don't do you in, the multitude of fake doors leading to areas you've already been will play with your mind. 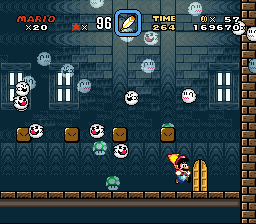 The exits to these ghost houses are usually found through some type of puzzle, not quite like the normal levels where you can just run from one end of the level to the other. 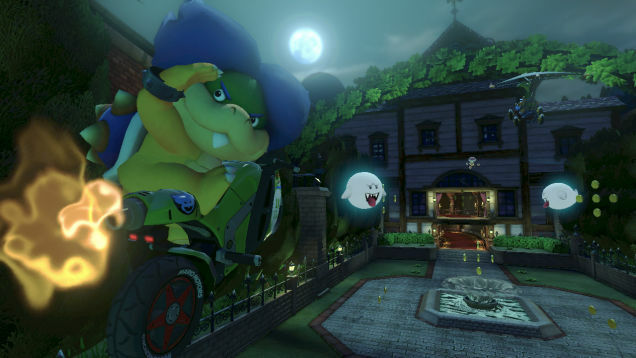 Some ghost houses are even home to the behemoth Big Boo, which makes for a rather exciting boss fight against someone other than Bowser or his Koopalings. I was mulling over which spooky race in Mario Kart I would have represent the series on this list. It was between this pick and Luigi's Mansion from Mario Kart DS and again in Mario Kart 7 as a retro race. However, Luigi's Mansion will be represented next, albeit in a different game series. 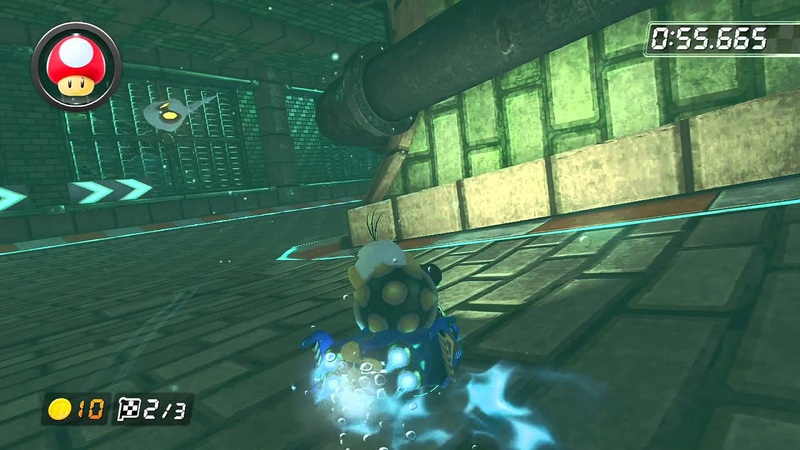 Regardless, Twisted Mansion takes place under cloudy skies in a mysterious mansion where the track starts by driving through the entrance. After a split consisting of two parallel undulating pathways, a left U-turn curve is made. A shortcut that cuts off this curve is available to those with a Mushroom, jetting them through a tunnel full of bookshelves. Either way, you end up going underwater in a submerged basement filled with ultimately harmless but gruesome all the same fish made of nothing but bone. After escaping this damp dungeon, you glide over an outdoor fountain, ride up some steps on a slight curve and head towards the finish line, attempting to avoid a trio of statues that wish to pound you into pudding. Twisted Mansion has the look of a scary course, and it's just an overall fun haunt to race around on. Not only is Luigi's Mansion the star of the game of the same name (besides Luigi, of course), but it's also its own character really as well. The entire game takes place in and around the grounds of the mansion. 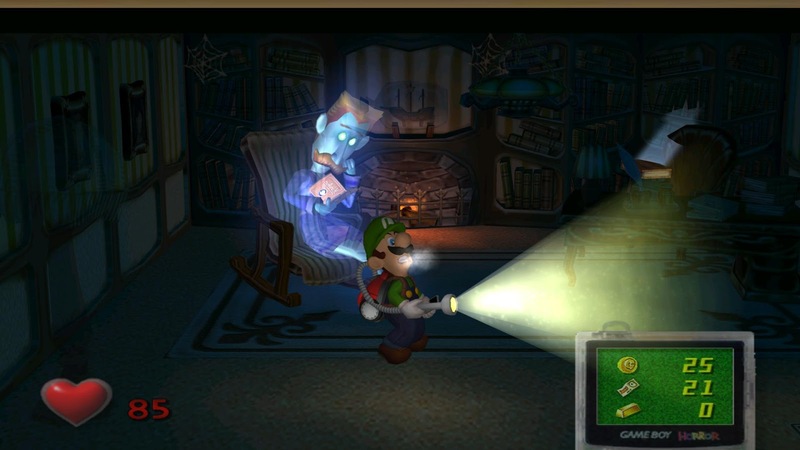 The mansion only allows Luigi to explore a small amount of rooms at first, investigating them with his trusty Poltergust. Through gaining keys from solving simple to complex puzzles and taking on bosses, Luigi gains access to larger parts of the mansion. 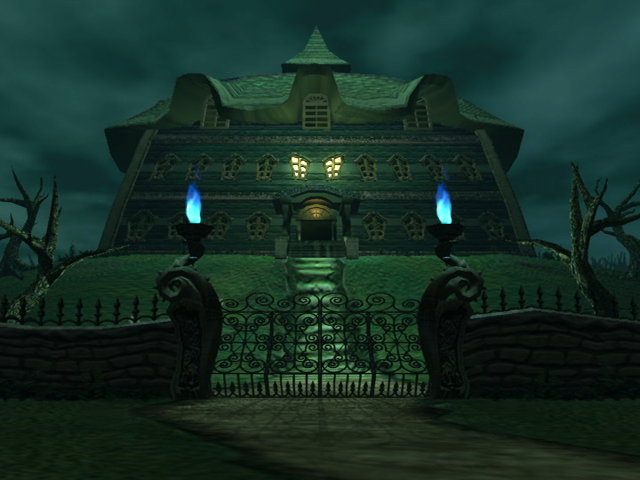 The environments of Luigi's Mansion are teeming with personality and ambiance, providing the character of the mansion that I talked about earlier. 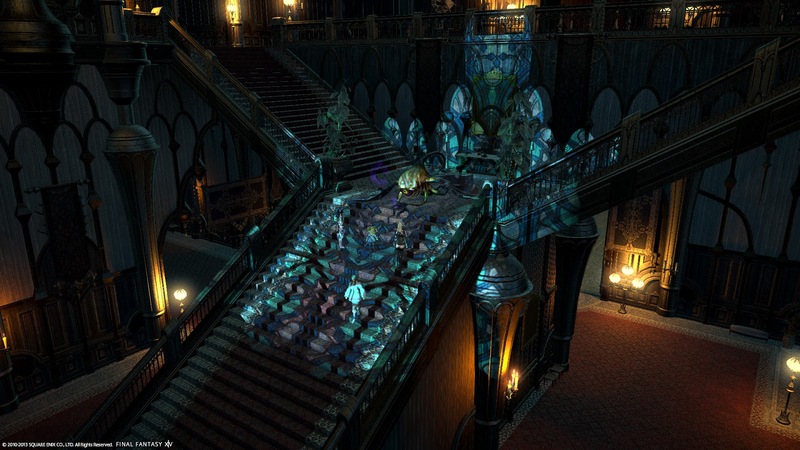 While the game is hardly scary at all, this ambiance gives the entire mansion an endearingly haunted charm. 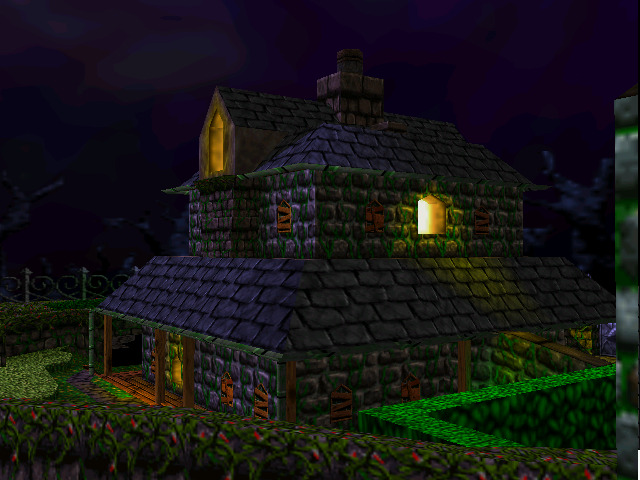 From one mansion to another, a late level in Banjo-Kazooie, which just so happens to remain my favorite 3D collect-a-thon-style platformer around, Mad Monster Mansion is a sprawling but dense level set under a midnight sky. Full of skeleton enemies, ghosts, and tricky bats, Mad Monster Mansion also contains lots of unique landmarks. The mansion itself rests in the center of the level, as the main point of interest. Banjo and Kazooie can even explore many of its rooms through smashing through windows. To the mansion's west is a shrub maze where ghoulish ghosts make their home, while to the north of that is an old cathedral where a ghostly hand tickles the ivories of a massive church organ. It's a haunted level full of tricks and treats, Mad Monster Mansion is a favorite spooky level of mine. There's nothing like a good story and background on a spooky setting to send chills down one's spine. 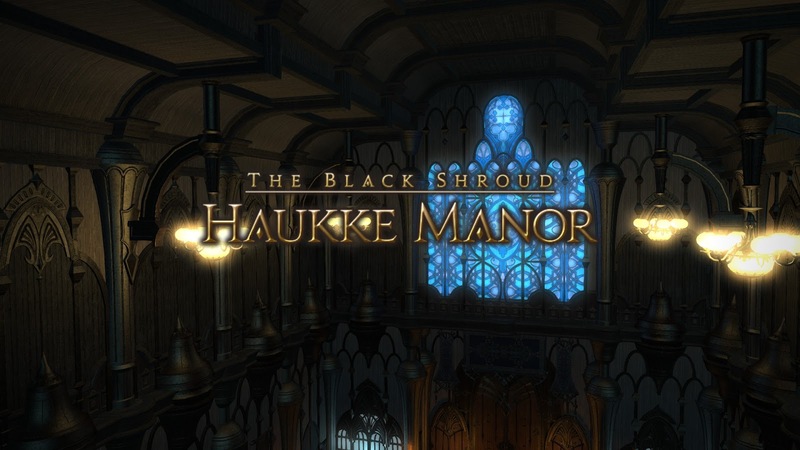 The story behind Haukke Manor is one of a vain woman who desired to keep her beauty no matter what. It started with simple creams and tinctures, but when that wasn't enough, the woman started using the blood of her servants. Eventually she signed away her soul for eternal beauty, and her damned spirit still roams the halls of Haukke Manor. The manor itself is dripping with creepy atmosphere, and the battle encounters players find themselves participating in whether intentionally or not takes them fighting a myriad of macabre foes, including the vain woman of legend herself. 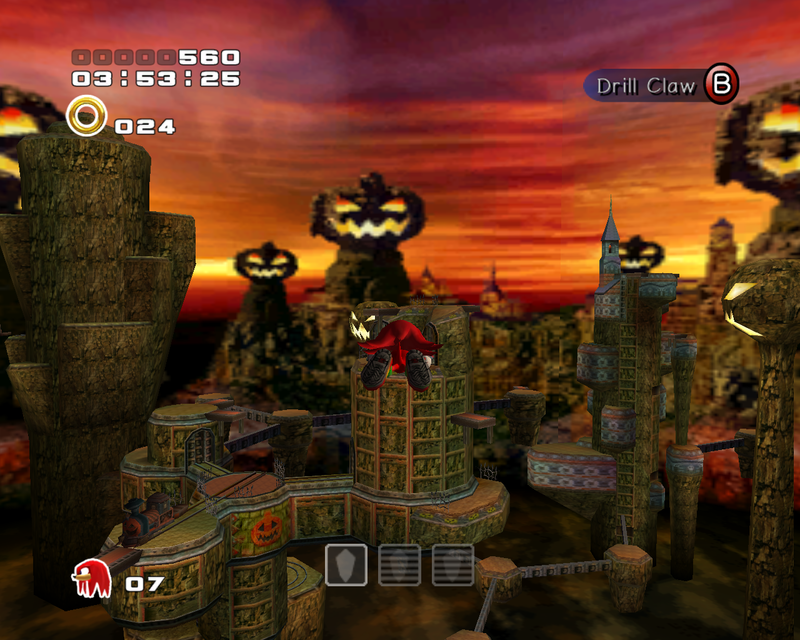 The first level that players assume control of Knuckles during the Hero side of Sonic Adventure 2's dual-story setup, Pumpkin Hill is littered with the titular produce whether it's small pumpkins or massive-sized pumpkin structures strewn about in the horizon. Alongside the pumpkins are other spooky sights, such as villainous ghost enemies, gravestones, and skeletons. 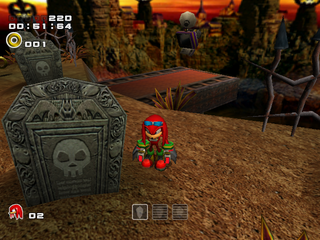 The goal of Knuckles' levels is to find three emerald shards hidden in different locations. Each time you play, the locations are switched up. But Knuckles ain't gonna let it get to him, as he's just gonna creep. Why let me say it, when you can hear it and see a jaunty little dance simultaneously? 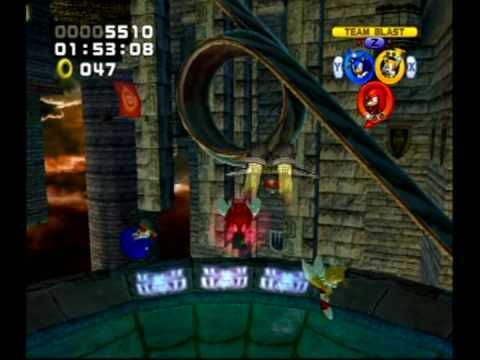 A less notorious pick from the Sonic the Hedgehog series than Sonic Adventure 2's Pumpkin Hill, due to a massive lack of memes and Knuckles raps, Hang Castle is a level in the second half of Sonic Heroes. It features Gothic-style architecture, crazy loops, and a foreboding sky. However, that isn't the main draw of this level. You see, Hang Castle has a rather clever mechanic to it. At different points in the level, Hang Castle becomes inverted, so the sky is now below Sonic and friends' feet and platforms that couldn't be accessed before can now be walked on. It's a wonderfully ingenious idea for a Sonic level, pending you can stomach Sonic Heroes long enough to reach it. Let's go retro for this final example of a spooky level from a non-horror genre video game with Shade Man's stage from Mega Man 7, an often underrated entry in the series. Shade Man's stage feels very much like it escaped from Capcom's own Ghost 'n Goblins series, which is pretty coincidental that you can actually input a code before entering the level to hear the famous Ghost 'n Goblins theme instead of the stage's normal song. 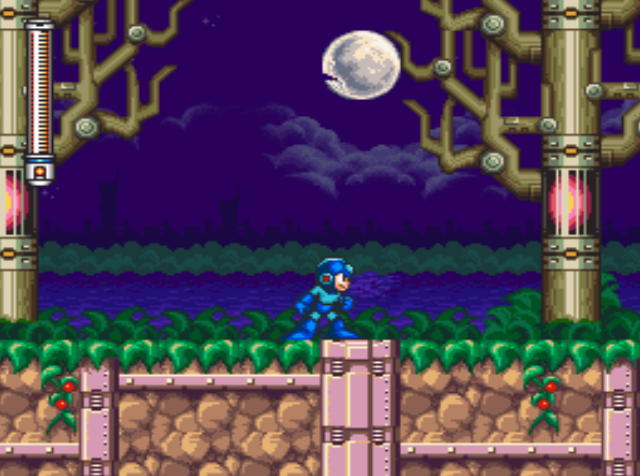 Regardless, you get robotic zombies rising from the ground and out of standing coffins, bats that awaken and fly downward in the Blue Bomber's path, and dangerous obstacles like platforms that smash downward, not inflicting instant death, but lots of pain instead. 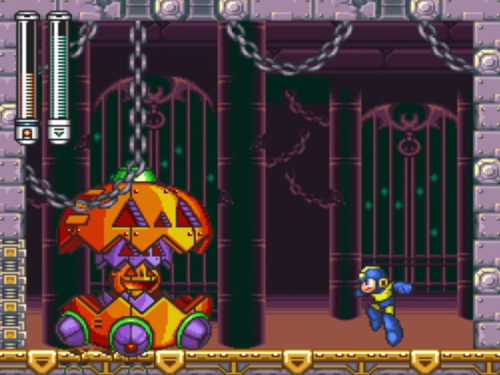 The midboss, a robotic pumpkin, holds the secret to two different alternate paths in the level, depending on where you inflict the final shot on it. From exploring the outside cemetery to entering the manic mansion, Shade Man's stage is highly memorable, probably the most memorable stage in Mega Man 7's decidedly impressive collection of levels.